Dora Ohrenstein is a leading crochet designer, author and teacher. Her books include the upcoming The Crocheter’s Skill-Building Workbook (Storey), The New Tunisian Crochet (Interweave, 2013), Custom Crocheted Sweaters (Lark, 2012), the first in-depth book on sweater construction and alteration for crocheters, Creating Crochet Fabric (Lark, 2010), and Crochet Insider's Passion for Fashion (Leisure Arts, 2009). 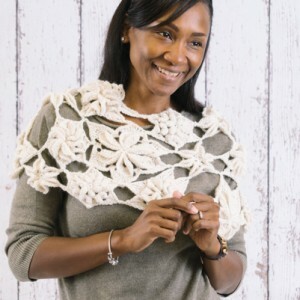 Dora's chic and innovative designs appear regularly in Interweave Crochet, Crochet!, Vogue Knitting Crochet, and Crochet Today magazines. She is Co-Editor of Annies.com widely read Talking Crochet column, and has written for various other publications about crochet history, international traditions, and techniques. 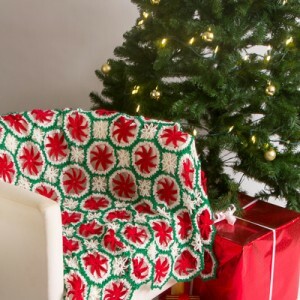 Dora is the founder and editor of Crochet Insider, an online magazine that has won the Flamie Award three times. She is also a professional singer and voice teacher. This cozy cardigan is worked top down in Tunisian knit stitch and Tunisian double crochet. People will never believe you when you say you crocheted this cardigan! Get the look of knitted fabric without ever picking up a knitting needle, using this incredible technique. This warm and cozy sweater for everyday wear features mock cables that are created using crossed treble stitches. Challenge yourself with this stylish garment that will bring in plenty of compliments. This cowl features an unusual and eye-catching two-row stitch: a shell made on an angle dotted with puffs. It’s dimensional, lacy, and it’s one of those stitches that looks harder than it is. Plus, it feels and looks luxurious around the neck! This versatile top is made with basic stitches. 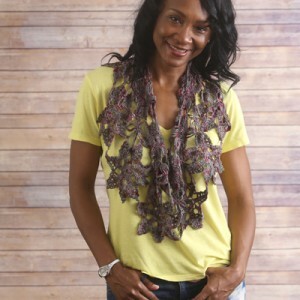 Wear it with your favorite maxi skirt or crochet a few more rounds to wear it with leggings in the summer. This springtime potpourri cowl uses a pretty cable-like stitch and is a great project for using scrap yarns. 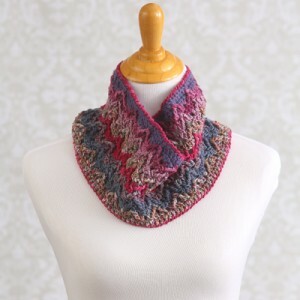 This cowl can easily be made longer as needed, whether you want it to hang loosely around the neck or want something to wrap double for more warmth. Accessorize your outerwear with the Berry Cobbler Hat and Mitten set! This pattern set, worked up in bright jewel tones, showcases an interesting checkerboard pattern along both the hat and the mittens, making for a unique and stylish accessory.